Court Street Market is a Florence, AL based market full of collaborative vendors and artisans with a heart for organic and responsibly sourced food. 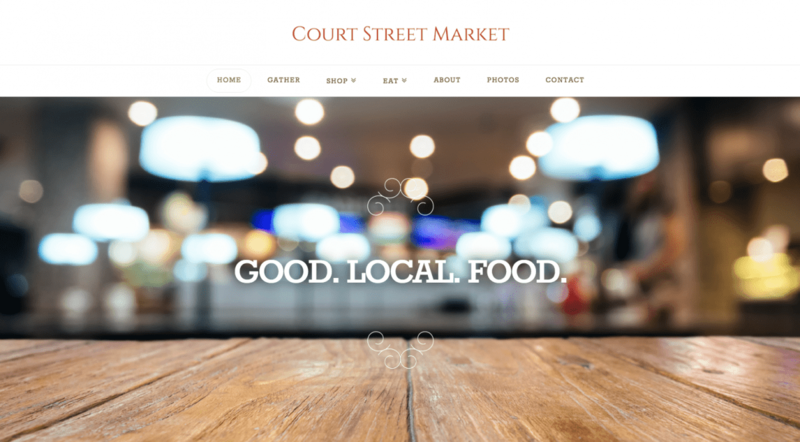 Court Street Market opted to go with Shoals Works Pro Package to build their new website as a modern portal to showcase their offerings to residents and travelers. Optimized responsively, the site is utilized from any device with ease. 2019 Update: This business has closed.